Hello again, and welcome to more of me. Some news which will considerably change life in the near future: my sister and brother-in-law are expecting a baby in the middle of 2015, so congratulations to them of course. 🙂 They already have a considerable “family” of non-human creatures, (one of whom I like to have as a guest at mine every so often, and hopefully she feels the same), so this first human addition to the family for a long time is one I’m looking forward to, as this one looks set to be one of the healthiest and most “aware” people to join the world, right from the beginning. On a more selfish note – still on the postgraduate course (just about clinging on) since the last post – it’s been an intensive and often very stressful stretch of time, frequently involving an “I Just Can’t Do It Anymore” mentality, but it looks like there are rewards to be gained should I continue hanging in there. I’ve had the chance, for the first time in I can’t remember how long, to meet and work directly with some cool people, many of whom are from far-flung corners of the globe and have clearly got the talent and the drive to come all the way over to Glasgow, with the awesome weather and everything, to study, on top of, well, all the actual studying. We are having to learn things which I had previously assumed to be dead and buried back in the recesses of high school (alongside the particularly acute awkwardness of my general existence at the time), along with a whole bunch of skills which I’d never even associated with being a librarian. Apparently, librarians are meant to be not only gatekeepers of information, but defenders and promoters of public education, and generally trying to include all people in as much of what goes on in libraries as possible. Given the world we live in, so very fraught with tension and conflicting beliefs regarding freedom of speech and information, this looks set to be a very challenging job to take on. As I continue to wonder whether I’d personally be cut out for such a role, I continue to appreciate the chance to learn skills, each one a string which I can add to my proverbial bow, and ones which I need to learn quickly, as time insists on continuing on. This time of year – having come round with such a velocity it’s frightening – has always been a weird one for me. My birthday is in a few days’ time (if you don’t know what age I’ll be I’m not telling), thus kicking off the “have I done enough by this age” contemplation. The short and emphatic answer to this is “NO”, and it looks like it always will be, with an additional one, “How the hell did I even get this far in life in the first place?” becoming more commonplace… But so much time has been lost to this feeling that the only thing left to do is to just keep trying to do all the things I can. 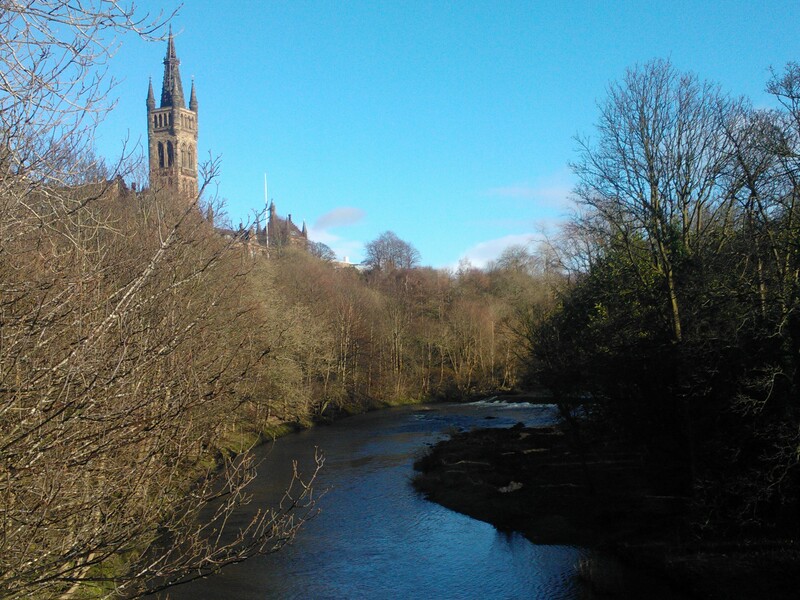 In a moment of probably-deliberate distraction, I went on a mini-outing to Kelvingrove Park (in the background being the University of Glasgow, the backdrop to another phase of my life) and took some photographic evidence of my being there. 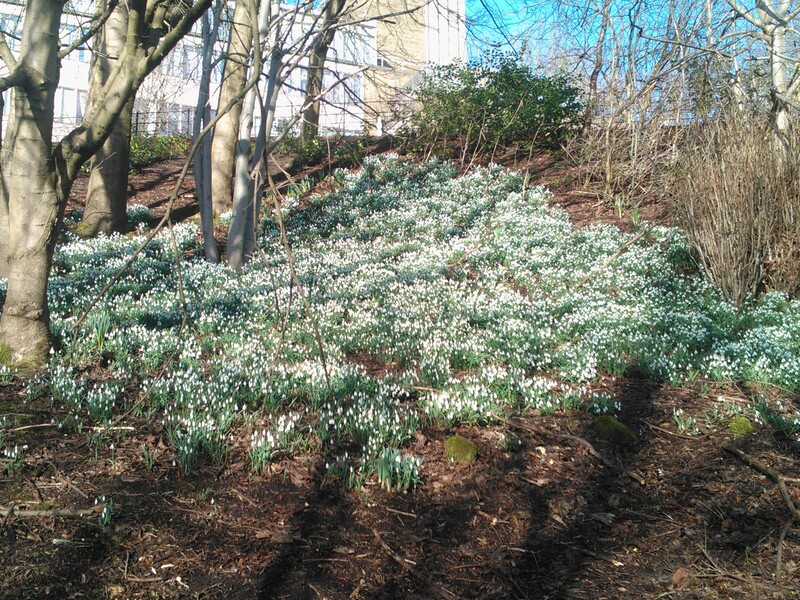 I’m a bit of a snowdrop fan, as you can see. Whether it’s to do with them coming up around my birthday or at the start of spring or otherwise, I’m not sure. It seems like I’m destined to never be too far away from any given university. Hopefully that will start paying off a bit more soon. Until next time!